…but they all have the same problem in common and our product, The EvenGrind Coffee Grinder, will help solve it! To get the best tasting coffee from your favorite brewing method, you need to start with fresh, even grounds of coffee. Using a high end brewer with stale pre-ground coffee would be kind of like buying a brand new HD flat screen TV and only watching VHS tapes from the 80s. No matter how skilled you are, or how fancy your brewer is, you won’t get the best taste possible. 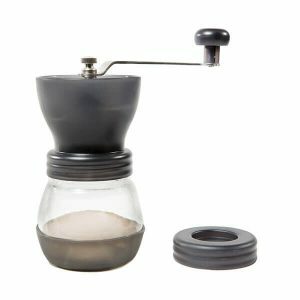 Our product, the Kuissential EvenGrind is an excellent option for home grinding because it uses a patent pending system to deliver a very even grind size, something not found with current affordable grinders, while being a fraction of the price of expensive commercial grinders usually found in coffee shops. Brew with FRESH, EVEN grounds of coffee by using a Kuissential EvenGrind Coffee Grinder at home. What are even coffee grounds and why are they important? Electric Conical Burr Grinders: Allow you to choose the grind size and very consistent. Great quality, usually found in coffee shops, but cost over $100. Electric Blade Grinders: Have a very cheap price, but also an extremely inconsistent grind size because the blades just chop up the coffee bean. You can’t choose what size you would like. Not a good option. Manual Conical Burr Grinders: Allow you to choose the right grind size, affordable, and more accurate than a blade grinder but has one large design flaw… Keep reading! Because the burr is not stabilized, it can rock back and forth, creating an inconsistent grind size that doesn’t brew evenly. The EvenGrind is a new manual burr grinder design that yields a much more consistent grind size at a fraction of the price of electric conical burr grinders. Whereas the old design for a manual grinder had an unstable, free floating burr, our Kuissential EvenGrind includes a removable stabilizing cage that keeps the burr steady while still being easy to clean and also an upper and lower bearing for extra support and smoother handle turning. When combined you can see that our burr is totally stable at the grind size you set. We have the design ready and made several production prototypes. Grind samples were sent to a lab that specializes in particle size analysis to run a test that compares our EvenGrind to one of the most popular manual grinders, The Hario Skerton.